You must be a member of the London North West Social Group to attend this activity. Would you like to join this group? 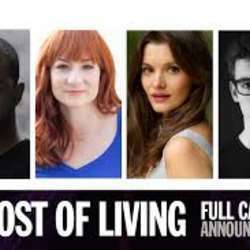 Winner of the Protected content Prize for Drama, Martyna Majok’s Cost of Living receives its highly anticipated UK Premiere at Hampstead Theatre. Let's meet for drinks and nibbles before the play. Book your tickets in advance to avoid disappointment!